Hello and welcome to Episode 7 of Truth or Myth. In today’s episode, we look at Starfleet’s duck blind missions and ask ourselves, do these missions really make sense? Oh, poor, poor Starfleet and the federation. Always striving to further scientific understandings of the universe and make the galaxy a better place to live in. The problem is though the federation can’t seem to get out of its own way when it comes to the prime directive. A really great episode of Star Trek: The Next Generation from season 3 called “Who Watches the Watchers,” deals with Starfleet’s want to understand how primitive cultures develop to better understand our own development. To this end, Starfleet sets up a holographic duck blind to observe the Mintakan race which is a Proto-Vulcan type race in early stages of development. So what happens? The duck blind fails and the natural development of the Mintakan species is changed forever. I can understand Starfleet’s Mission to observe the Mintakans but why the duck blind? In the Enterprise episode “Civilizations,” which takes place almost 200 years before this episode, we see that Starfleet has the technology to observe a primitive culture from orbit, so why doesn’t Starfleet just set up an orbiting station and probe network if the mission is so important? Are we to believe that this type of technology has been lost by the time of TNG? Or is it more likely that this type of technology would have improved after 2 centuries, I tend to believe the latter. 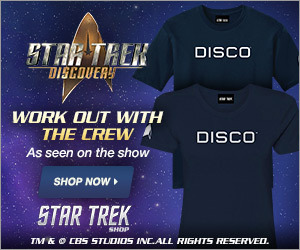 And what about the Prime Directive? It’s Starfleet’s most important rule, how does creating a duck blind mission affect that rule? On the surface, it doesn’t. If everything ended up working well, the Mintakans would NEVER know that Starfleet was even there, but shouldn’t Starfleet think ahead? I mean at the very least shouldn’t there be 3 or 4 backups to make sure that what happened in the episode didn’t happen? Instead, we’re lead to believe that there’s only one back up, battery power, which wouldn’t last indefinitely, and that the system could malfunction quite easily leaving Starfleet exposed. And it would seem Starfleet has spent a LOT of time and resources on these types of missions. In Star Trek Insurrection we see they’ve even developed cloaks of invisibility so that scientists can walk around with the subjects they are studying. Why? What would happen if one of those suits failed? Or an android goes nuts and exposes your duck blind? Starfleet really couldn’t see that a possibility? 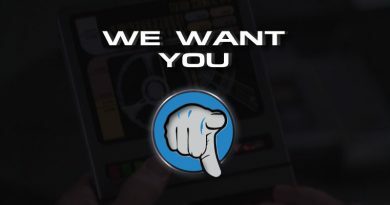 The Prime Directive is bestowed by Starfleet and the Federation over and over again on anyone that listens, but according to the Admiral in Insurrection, the Federation Council just decided to abandon the Prime Directive with a snap of the finger, is that how the law works? And before you say that it’s not a law, it’s just a rule, and then I say this if it’s just a rule why are so many Starfleet officers and/ or federation members charged with disobeying that rule? You can’t have it both ways, either it’s a law that you can be charged with disobeying or it’s merely a rule you can disobey when you think you’re justified. In TNG’s season 7 episode Homeward Worf’sbrother disobeys the Prime Directive in order to save a few people from an alien race, a race he’s grown attached to. Picard spends the first part of the episode grumbling about the Prime Directive and how violating it cannot happen, that it goes against everything the Federation stands for. And only when left with no choice does he grudgingly agree to Worf’s brother’s plan. Strangely enough, though Worf’s brother doesn’t face any charges for his actions and is allowed to remain on the planet living a happy life with his new family. Does this seem right? 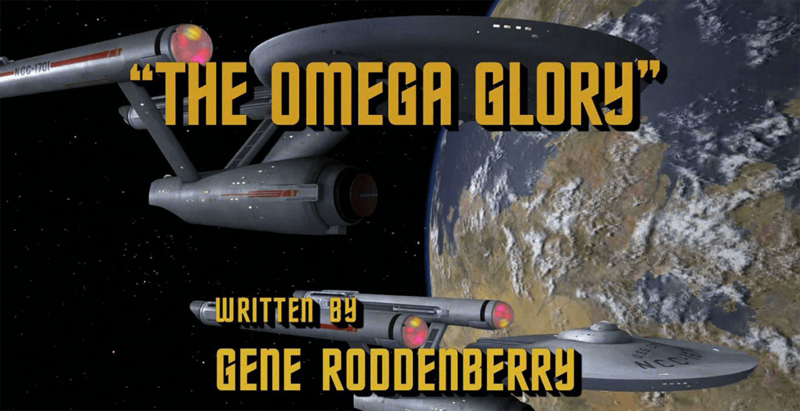 In TOS, after all, we see in the episode “The Omega Glory,” that Kirk is hell-bent on Prosecuting Captain Tracy of the U.S.S. Exeter for his choice to disobey the Prime Directive, and that’s before Kirk finds out Tracy has been killing people like Crazy on the planet. Consequently, it’s the same type of situation on THAT planet that is the subject for the Baku planet, yet in this instance disobeying the Prime Directive isn’t allowed. Why? And did Starfleet lose its belief in the Prime Directive by TNG’s time? The Answer to that is no, it seems that in fact, it’s more vigorously applied then in the TOS ERA, so what is the deal with the federation then? Of course, we know it’s merely for storytelling that these situations occur. That to have our heroes having to deal with these types of situations can open great debate and create awesome stories for us to enjoy. But as far as in-universe explanations go, Starfleet’s prime directive seems to only be propaganda for Starfleet and the Federation to use to make themselves sound evolved. As stated before a simple station in orbit of either of these planets could have accomplished the same thing as a duck blind with a lot less chance of contamination. And to build a small station in orbit would probably take the same amount if not less amount of time as building one on the surface. After all how long does it take for Starfleet to build a runabout? So prefab stations of that size should be a common thing. And the Federation’s actions in Insurrection show that they are no better than intergalactic bullies. That when they want something they’re going to take it with a simple vote. And when the Enterprise E sends a simple communication to the Federation instead of standing behind its decision the council crumbles and puts an end to that particular duck blind mission, kind of showing that they knew what they were doing was wrong in the first place and wanted to avoid the scandal. So, in the end, Starfleet and the Federation gained nothing and were almost revealed to be the villains in their own story. 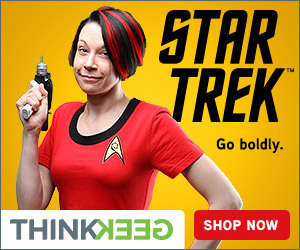 Almost makes you want to be a Klingon, doesn’t it? After all, at least you know when they’re attacking you!